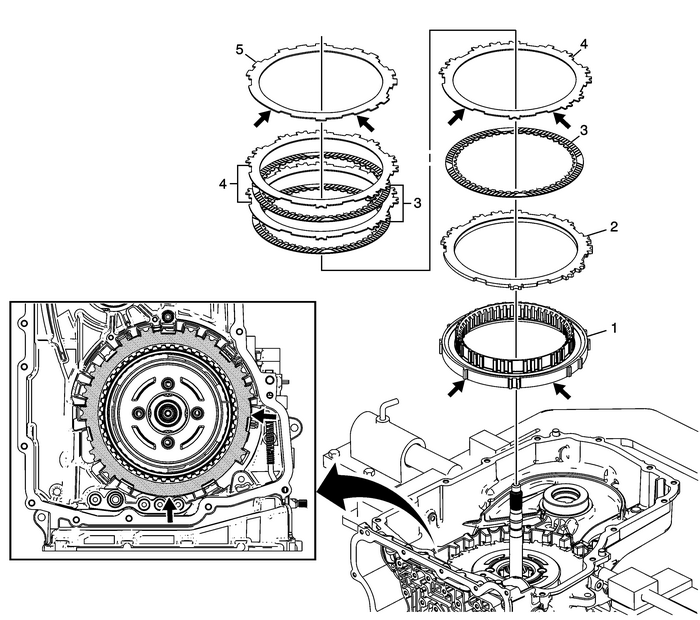 The Low and Reverse Clutch Assembly should rotate freely in one direction and lockin the opposite direction.With the valve body face at the 6 o’clock position, align the large flat areas ofthe low and reverse clutch assembly between the 2 o’clock and 5 o’clock position. Note:With the valve body face at the 6 o’clock position, align the large flat areas ofthe low and reverse clutch plate between the 2 o’clock and 5 o’clock position. With the valve body face at the 6 o’clock position, align the large flat areas ofthe low and reverse clutch apply plate between the 2 o’clock and 5 o’clock position.Ensure the correct waved plate is being installed. The 1–2–3–4 clutch and low andreverse clutch waved plates are visually similar, however the low and reverse clutchwaved plate is thicker.